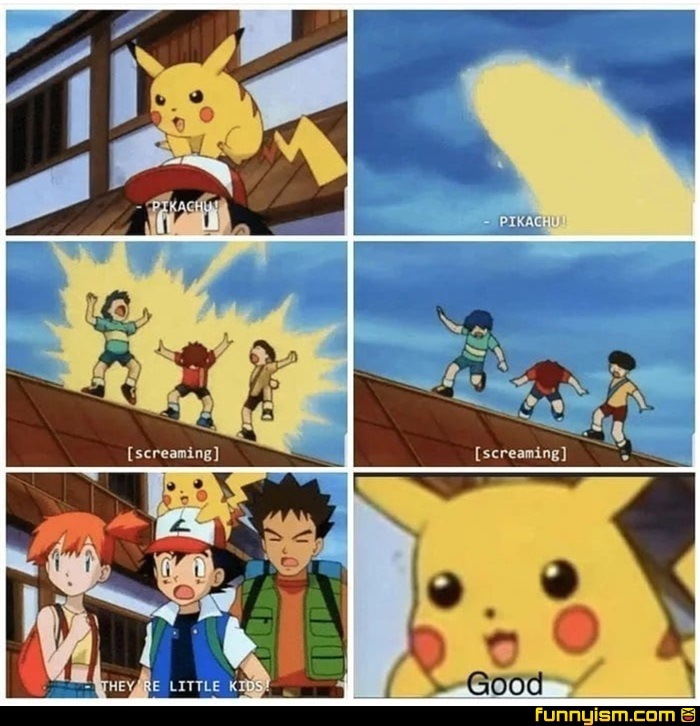 Pikachu feels no obligation to spare the weak. They are on top of a building with no safety precautions, they deserve what happens to them. Plus, their parents are anti-vaxxers, so they won't be around long anyway. The weak must be culled.